One thing I will never get tired of reading on other blogs is morning and night routines. 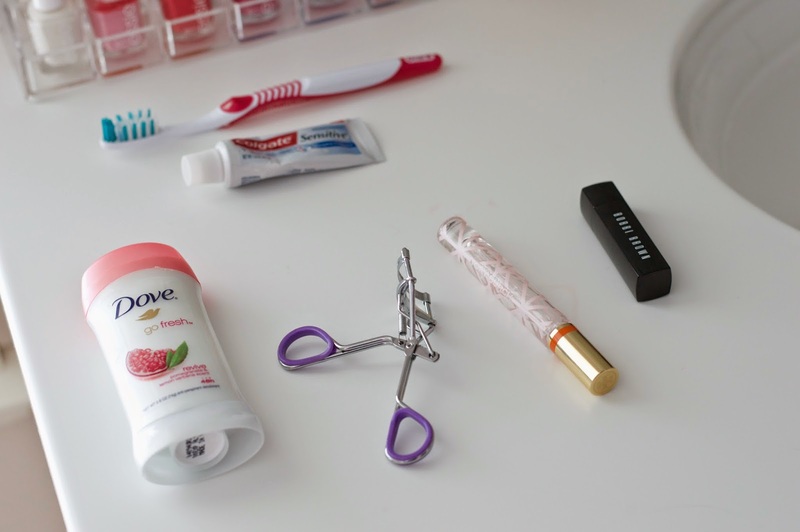 While I would love to do one of these posts in video form, I'm just not skilled enough with a camera (haha) so I thought I would put my own little spin on it and show you how I get ready in the morning! 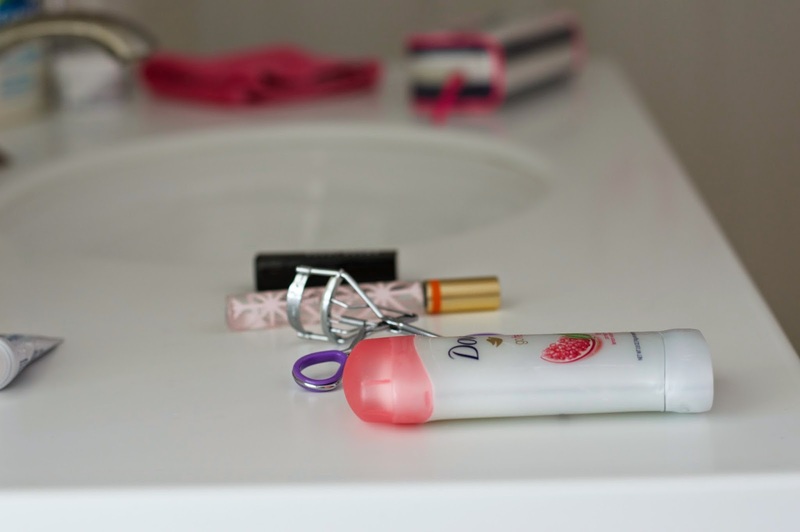 My routine is super basic and simple, allowing me to get ready in under 15 minutes. First things first I brush my teeth (I use whatever toothpaste I have on hand) and apply my favorite pomegranate deodorant. 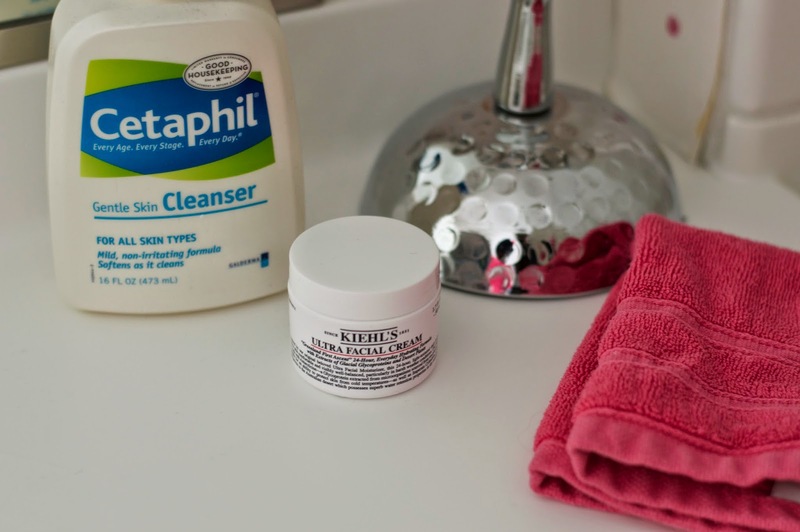 Then I wash my face with Cetaphil cleanser and follow it up with my favorite Kiehl's ultra facial cream. The cream is perfect for people with skin that is sensitive to thick moisturizers and generic creams. Recently, I switched to the Juice Beauty milk cleanser and can't decide whether I like it better than the Cetaphil or not! They are both great for sensitive skin, and I strongly recommend either if you're looking for a gentle face wash.
Next I curl my eyelashes and apply my all time fave Tory Burch perfume. Then I swipe on a little bit of chapstick and top it with a layer of pale mauve by Bobbi Brown. Not pictured: the mascara I steal from my mom every morning because I'm too lazy to buy my own #typical. After that I brush my hair and do whatever I'm feeling with it. I shower at night and since my hair tends to get really puffy if I let it air dry, I usually will blow dry it at night. Sometimes I'll straighten it in the morning to give it a little extra sleeky shine, but usually I wake up, brush it and go. I'd love to know how yours differs from mine! 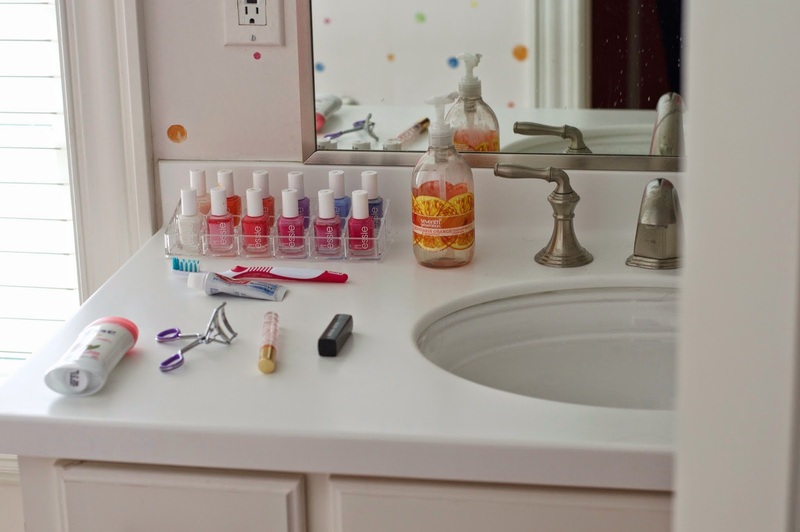 That nail polish organizer is so cute! Where is it from? I have a really simple routine too! I need it so I can wake up late and still get out the door on time!